This past week has been a season of grief, fear, remembrance, thankfulness and hopefulness all wrapped up in a bow of togetherness. 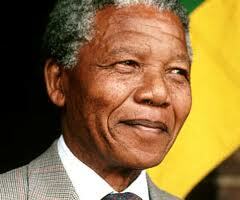 On the 5th of December 2013, South Africa’s beloved Nelson Mandela aka Madiba aka Tata passed away. With his passing comes many emotions but also many questions. Through the nostalgic walks down memory lane there remains the nagging thought in many South African’s minds. This thought reaches into our very core and poses the question, with all that he overcame, would Madiba have taken his last breath with a sense of peace that he was leaving his beloved country in the hands of sons that would go beyond him and build towards the South Africa that many gave their lives for? It’s an interesting thought that this season now brings together the mourning of a man many believed to be the saviour of the nation and the celebration of the birth of a child many believe to be the saviour of the world. So what do the two have in common? I believe the greatest similarity is that the legacy of the two have a great deal to do with the son’s and daughters that were left behind. Their teachings, their sacrifices are and will be seen best in the fruit that is borne after they left us.